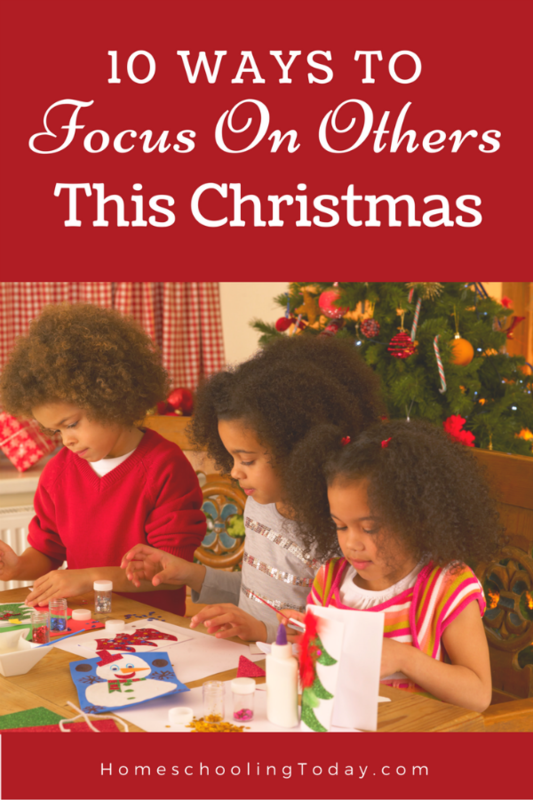 Obviously, there is nothing wrong with children looking forward to presents, but do we really want that to be the main focus of this Christmas season? How can we help our children keep it all in perspective—to enjoy and be thankful for any gifts received, as well as being excited about giving to others? It begins with us setting the example! As we make our Christmas list of family and friends, take time to really think about what would benefit or be an encouragement to each of them instead of just going out to grab something so we can mark it off the list. Ask your kids for their ideas, too. We can also go out of our way to be gracious and patient with those who are working in restaurants and retail stores during this busy season. Our kids are watching us, and they are learning. We want to encourage you to sit down with your children and talk about the importance of giving, not just getting, this Christmas. 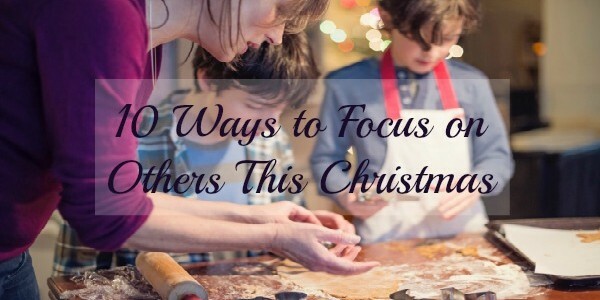 Brainstorm ideas about how you can give to others as a family and individually. And remember giving to others doesn’t always mean buying a gift. It can be gifts of time, thoughtfulness, and encouragement, too. 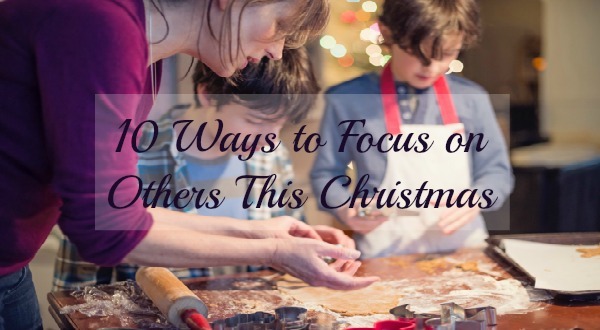 Hopefully the following list will help you think of fun ways to focus on others during this wonderful season! And please, share you ideas with us on our Facebook page! Make cookies, candy, or bread for neighbors. Choose a family you know who could use some anonymous gifts or a meal left on their doorstep. Offer to babysit for a young mother so she can do some Christmas shopping. Have an old-fashioned caroling party. Get some of your friends together and go around the neighborhood singing carols and handing out Christmas cards. Many charities need extra help during the holidays! Choose one to dedicate an afternoon of helping to. For example, deliver meals for Meals-on-Wheels or serve food at a local homeless shelter or soup kitchen. Plan a scavenger hunt for your children and their friends for food items. When they are finished collecting the items on their list, take them to deliver the food to a food bank. Make home-made Christmas cards to give out at a nursing home in your area. Sing some Christmas carols for the residents, or play games and visit with them. We found a nursing home in our downtown area that few, if any groups, visit during the holiday season. You might want to check and see if there is one like that in your town, too. Invite some neighbors you don’t know to your home to host a “Hot Chocolate Party.” Play games and enjoy getting to know one another. Take small gifts, cookies, or cards to those who serve your kids or your family—their teachers at church, the mailman, the family doctor, etc. Have kids write specific thank you notes to those who have given to them. Instead of a quick “Thank you for giving me ________,” they can tell the giver how much they appreciate the gift, how it will be helpful to them, and something encouraging to the person who gave the gift.